Empire Battle Tested, better known simply as BT, is at the forefront of scenario paintball gun design. Battle Tested is an appropriate name for this line of rugged and durable paintball guns, which work well in even the most adverse conditions. BT Paintball Guns There are 2 products. Many paintball fields have chosen to use the BT-4 Combat as their main rental paintball gun, because time and time again, they work regardless of how many times they are shot or dropped in the dirt. Not only does Empire Battle Tested produce extremely rugged paintball guns, but they are also at the forefront of innovation in scenario paintball gun design, having furthered their reputation by releasing the fully electronic, and widely successful, TM series of paintball guns, which revolutionized the way scenario players looked at their equipment. Select any BT paintball gun to learn more about its capabilities, and to see if it is the right fit for you. The BT-4 Combat paintball gun is a standard model in the realm of blowback mechanical markers. With its proven bolt system this paintball gun can withstand the constant use without failure. With picatinny rails covering the top of the body, the BT-4 Combat paintball gun can handle a wide range of tactical upgrades. The BT-4 Combat paintball gun is a great choice for the player that is looking to start with a bare stock paintball gun that is modification ready and easy to use. The BT Omega paintball guns are based upon the proven BT-4 platform. Get the look and feel of a M16 by choosing the top choice BT Omega. It comes complete with a mock magazine, M16 carry handle, M16 fore grip and carstock to combine the look of the M16 model. Jump right into the game with a realistic looking paintball gun that is durable and effective. The BT Delta paintball gun has taken realism to the next level by becoming officially licensed by Umarex, the official H&K licensee for paintball products. With the BT-4 Combat paintball gun at its core, get the real look and feel of the MP5 by H&K. It comes complete with the MP5 foregrip, top rail, MP5 mock magazine, front and rear sights and a retractable MP5 stock. The BT Delta line is built on the same BT-4 Combat platform to achieve reliable and effective results every time you play. Based on the original BT Delta paintball guns with the H&K licensee, the BT Delta Elite paintball gun gives you the realistic MP5 SD look and feel combined with intense performance upgrades. 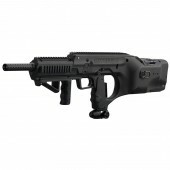 Included with the BT Delta Elite paintball gun is the BT electronic grip frame, BT Rip Clip paintball hopper, and BT Apex paintball barrel system. With these performance upgrades, your BT Delta Elite paintball gun comes fully upgraded and ready for action. Get a BT Delta Elite paintball gun and immediately get the performance you need to stay above the competition. The new BT-4 Combat Slice is an improvement of the original BT-4 Combat offering easy to perform serviceability. Using the same reliable internals as the BT4 platform, the internal system is now simple to access with the removal of one push pin. You no longer have to worry about lining up parts perfectly to reassemble a clamshell style paintball gun body. The BT-4 Combat Slice paintball gun is easy to use, maintain and customize with performance upgrades and tactical modifications. The original durability of the BT-4 Combat just became capable of extremely fast field stripping to quickly fix any potential issues. Licensed by Umarex, the official H&K licensee of paintball guns, the BT-4 slice G36 measures up to scale with the popular G36 rifle produce by H&K. With the proven BT4 Combat Slice at its foundation, you can get the enhancements of the BT-4 Combat Slice while getting the realistic look and feel of the G36 rifle. Gain the intimidation factor with the BT4 Slice G36 with its G36 fore grip, top rail, mock magazine, folding fore grip and folding G36 stock. The BT-4 Slice G36 Elite is based on the BT-4 Slice G36 platform with the addition of incredible performance upgrades. With the BT-4 Slice G36 Elite you will get the BT electronic grip frame for fully automatic fire, the BT Rip Clip paintball hopper system, and the BT Apex 2 paintball barrel system. With these performance upgrade you gain an elevated edge over your competition. The BT TM-15 paintball gun has the internal guts of the proven Empire Mini platform covered with an extremely light magnesium body fully equipped with piccatinny rails for you tactical paintball needs. The TM-15 paintball gun accepts A5/BT-4 threaded barrels for the best versatility. The mock magazine doubles as a tool kit so you can solve issues on the field amidst a paintball match and a battery holder for easy swap outs. Get the performance of a tournament style paintball gun inside a tactical package.